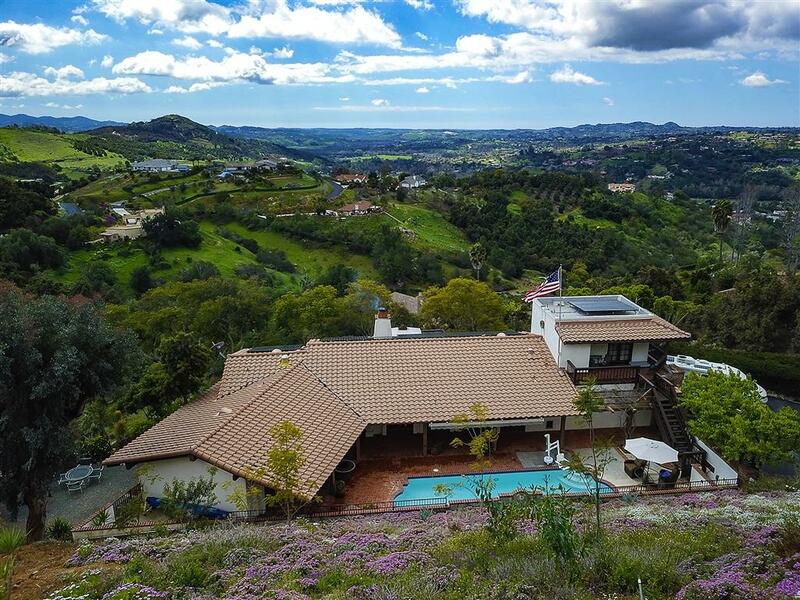 Private and magnificently designed Weir built Hacienda inspired estate on 4.45 acres, perched high above the scenic countryside with 180-degree million-dollar breathtaking views extending out to the ocean! 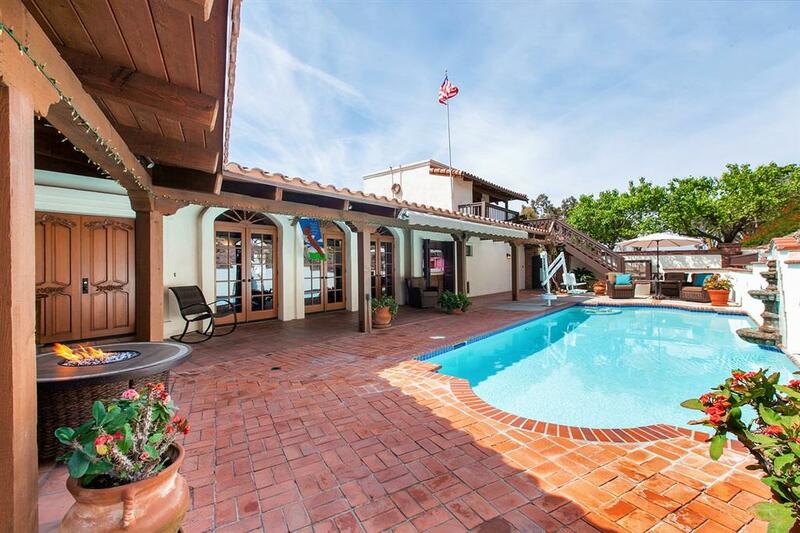 Enjoy the prevalent coastal breezes all year round. Elegant, spacious, yet very comfortable 2,400 square foot 3-bedroom/3 bath home with main single-story living area and guest quarters/granny/office upstairs with a separate entrance. Upon arrival, an attractive wood gateway opens to an intimate courtyard, with an inviting atmosphere of poolside (upgraded saltwater pool & energy efficient heat pump) recreation and covered outdoor leisure, sets the tone as you enter this beautiful home. Home interior exudes comfort and craftsmanship with a highly functional floor plan. 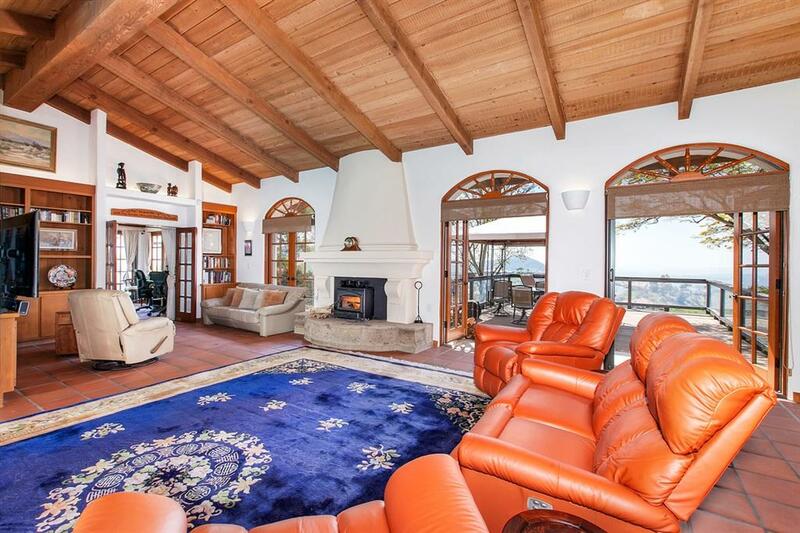 Living room boasts high, open and rich wood beam ceiling, cozy wood burning stove and ample windows take full advantage of those forever views and profoundly imports the outdoors inside. 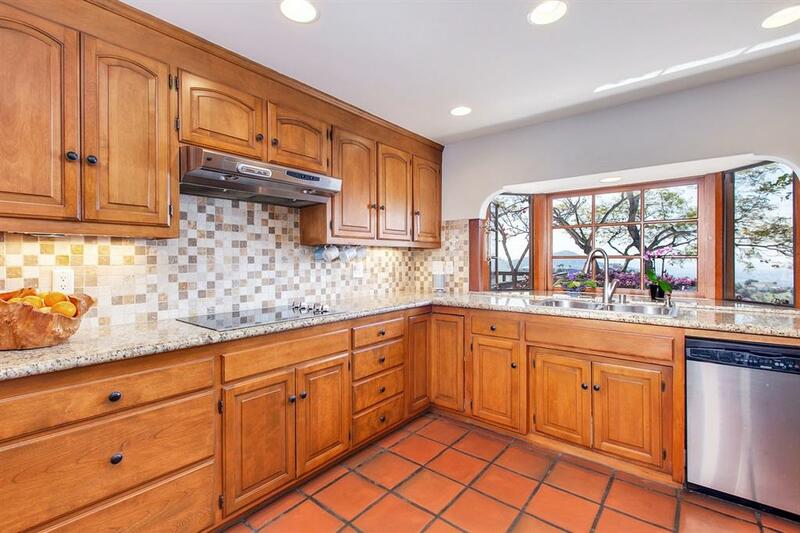 Bright and capacious easy-flow kitchen with exquisite granite counters. Fully paid for SOLAR SYSTEM includes an on or off grid capability with 10K lithium battery backup. Two large & elevated potable water backup tanks in the event city water becomes temporarily cut off. Prepper friendly home. Several cherimoya trees and a nice variety of family fruit.